The third book in the Poiema Poetry Series is Within This Tree of Bones: New and Selected Poems by Robert Siegel. Published January 7, 2013. Robert Siegel is the author of five poetry collections; he has also written several novels, including the Whalesong trilogy which has been translated into seven languages. For 23 years he directed the graduate creative writing program at the University of Wisconsin-Milwaukee. Listen to a podcast about this book from John Wilson, editor of Books & Culture. 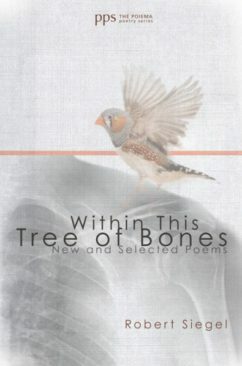 To purchase Within This Tree of Bones visit: Wipf & Stock.